(Alsike Clover (Trifolium hybridium) - 07) This photo may not be as beautiful as most of our photos, but it is quite interesting because it shows the various stages of the alsike clover flowering process from new buds to dying flowers. In accordance with God's creation process, even the dying flowers are developing new life in their seeds, which will bring forth new alsike clover plants. 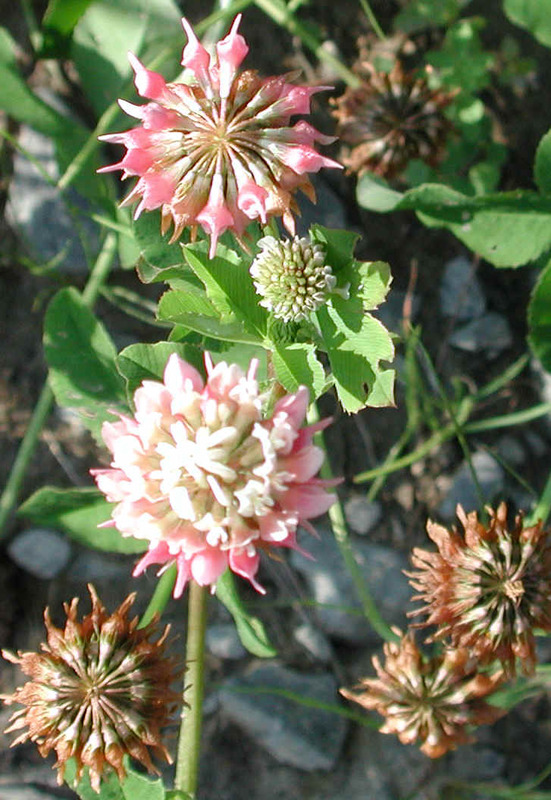 In this process the alsike clover brings life to other plants by enriching the soil with nitrogen, as do the other members of the pea family (Leguminosae).